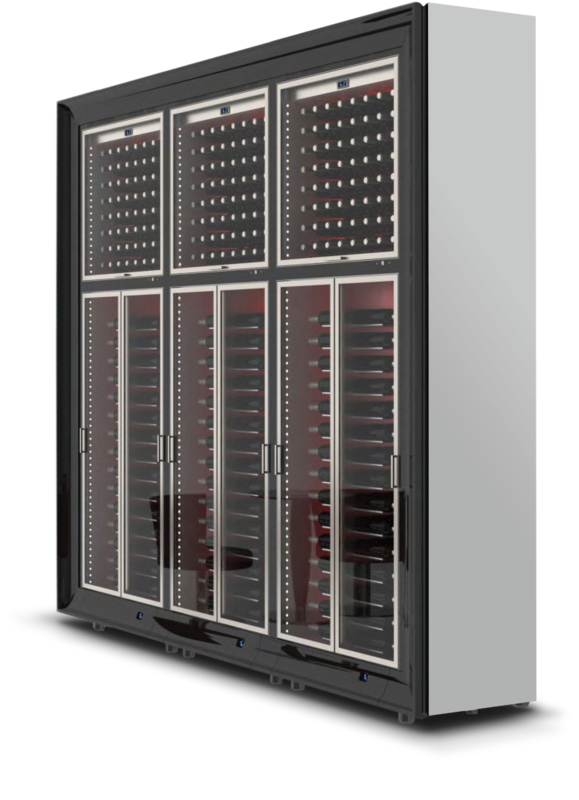 Wine Wall is a unique, modular wine storage solution available exclusively from Wine Corner. Simply choose the Wine Wall size and style to suit your individual space and then add the frames and side panels to match your room style. The modern feel of Wine Wall is enhanced by the wine bottles being stored in a horizontal position. This looks elegant and also ensures all wine labels are clearly visible making choosing the wine for the occasion quick and easy. 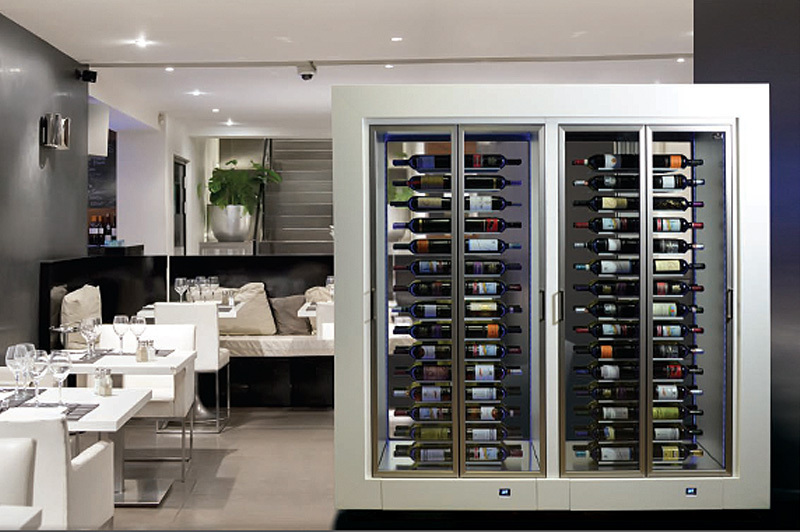 Wine Wall incorporates an innovative cooling system with a cooling coil positioned at the centre of the case to help ensure all your wines are stored at just the right temperature. Double glazed doors, separate compartments and excellent side insulation helps to keep energy consumption low, whilst moving between storage and service settings is easy with the exclusive energy saving system. Bottles can be arranged with the bottle neck outward or inward facing depending on the model chosen. You can choose a Wine Wall with a back panel so the unit goes against a wall or to have a Wine Wall with doors to both sides so that you can access the back and front. The Wine Wall has been designed for easy assembly. Clear instructions are available. If you would like to purchase a Wine Wall using our monthly payment option (which is available to Limited Companies). The button below takes you to our leasing company. Please call us on 0845 301 6617 or 01302 744916.